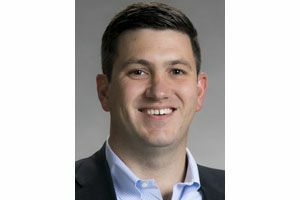 Voters in the 31st Legislative District should re-elect state Rep. Drew Stokesbary, an Auburn Republican who has shown a knack for productive collaboration among both Republicans and Democrats. For the past four years, state Rep. Drew Stokesbary has served as a voice for moderation in the House GOP caucus, as well as a strong advocate for government accountability. Stokesbary is skeptical of new taxes but will vote for ones he thinks substantially benefit his constituents. He took significant heat from some local conservatives for voting for a 2015 transportation package that raised the state’s gas tax. But he says it was necessary to pay for critical projects for his district, including extending State Route 167 from Puyallup to Tacoma. Strengths: Stokesbary is skeptical of new taxes but will vote for ones he thinks substantially benefit his constituents. Going forward, he is focused on increasing money for special education. Yet he is equally focused on maintaining strict accountability and auditing requirements when it comes to K-12 spending. Going forward, Stokesbary is focused on increasing money for special education. Yet he is equally focused on maintaining strict accountability and auditing requirements when it comes to K-12 spending. In a deeply disappointing vote, Stokesbary joined most of his colleagues this year in voting to exempt the Legislature from the state’s Public Records Act. Without a doubt, he needs to demonstrate a greater commitment to open government in the future. This editorial board also disagrees with Stokesbary’s opposition to modest gun-control measures. However, his stance mirrors that of many residents in his largely rural district, which includes Bonney Lake, Sumner, Edgewood, Lake Tapps, Buckley, Wilkeson, Carbonado and part of Auburn. On certain social issues, Stokesbary has demonstrated more independence. He supported a ban on gay conversion therapy this year and also favors repealing the death penalty. Stokesbary’s opponent, Democrat Victoria Mena, is a promising political newcomer with an inspiring personal story. Her desire to help her community is clear and would serve her well in a run for local office, such as city council. Yet Stokesbary has proved an especially effective lawmaker who also fits his district. Voters in the 31st District should re-elect him to a third term.